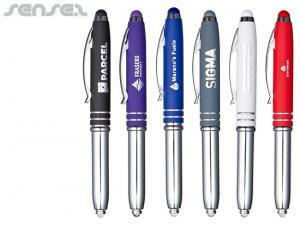 Nothing suitable in promotional stylus pens? 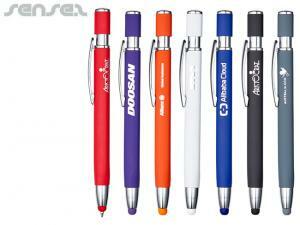 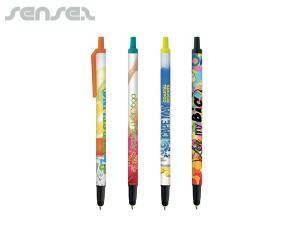 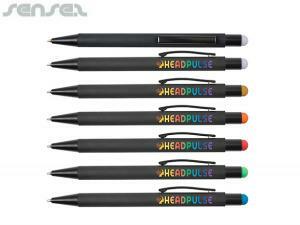 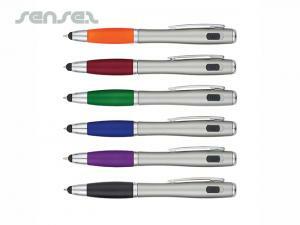 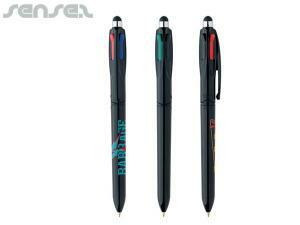 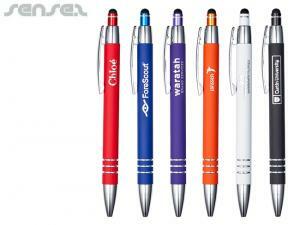 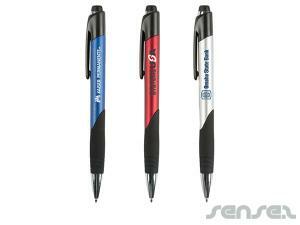 Custom printed touchscreen stylus pens are the latest tech gadget promo gift. 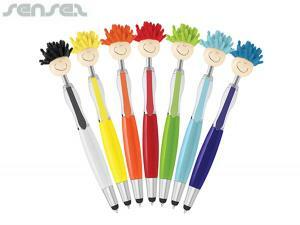 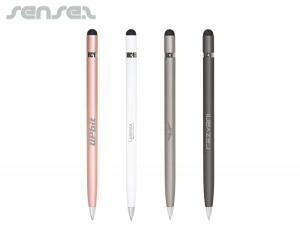 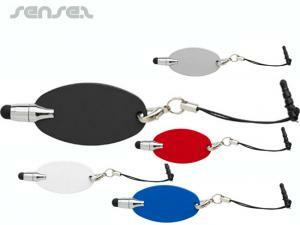 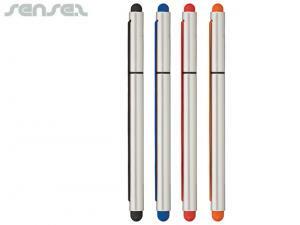 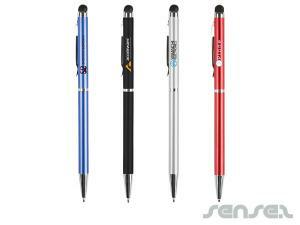 Use these soft tipped stylus pens to navigate your way on an iPad or iPhone or other smart phone devices. 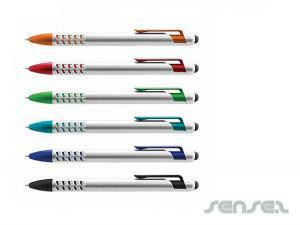 Stylus Touchscreen pens are the new pen accessory that simply everybody will need and use. 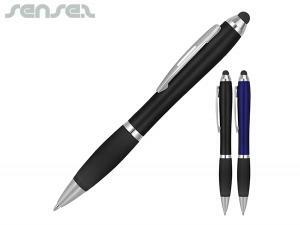 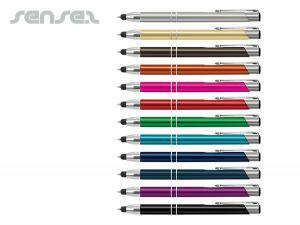 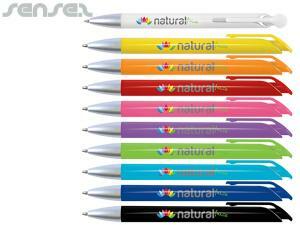 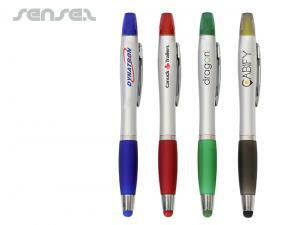 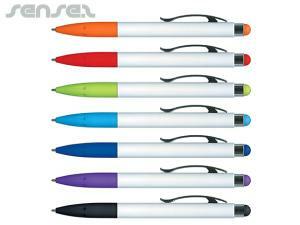 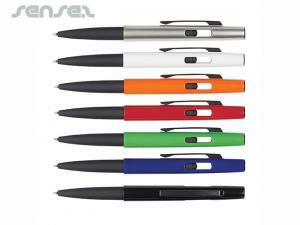 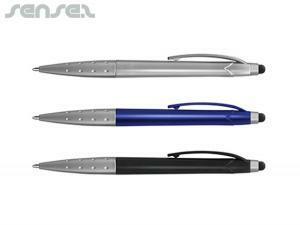 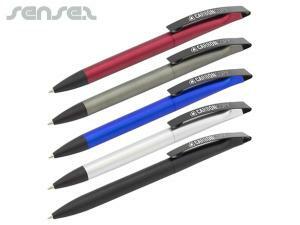 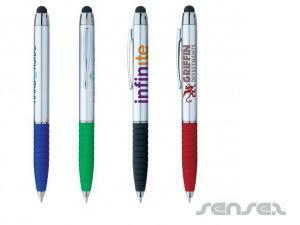 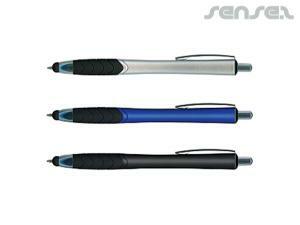 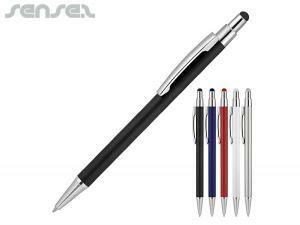 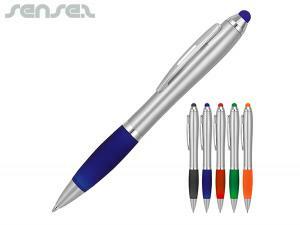 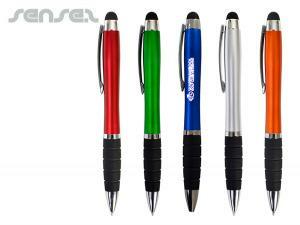 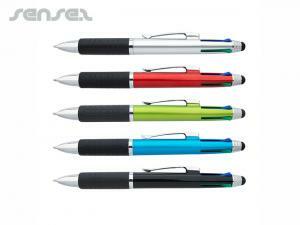 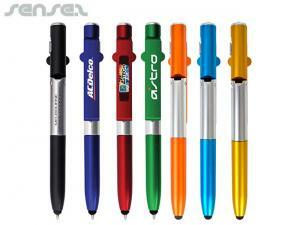 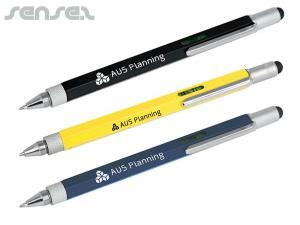 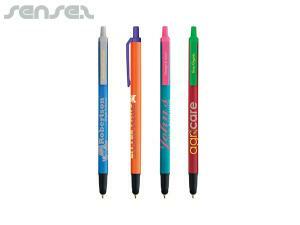 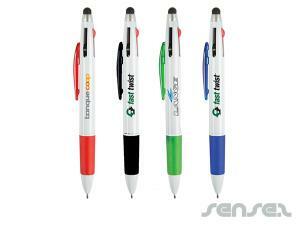 Stylus pens are a cheap corporate gift that will be used and that will remind your customers of your company's services. 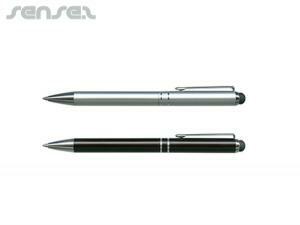 Stybalus pens or navigator pens and are used in conjunction with iPhones, iPads, Tablets and other smart screen technology. 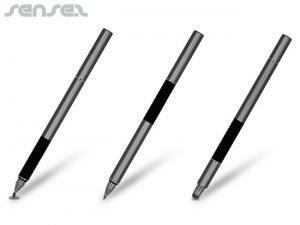 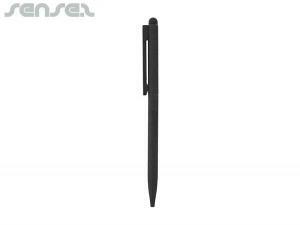 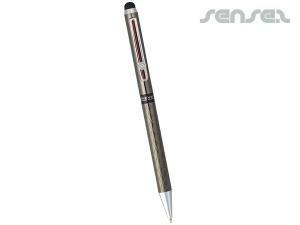 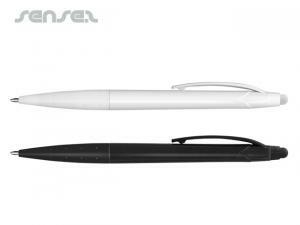 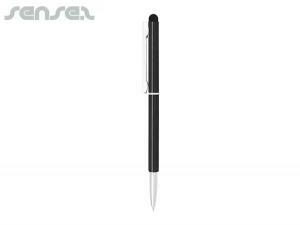 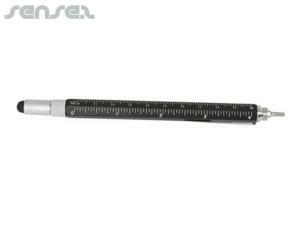 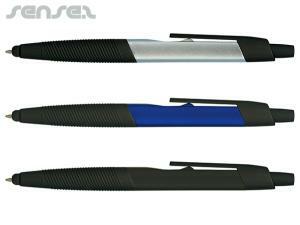 Stylus pens come with a soft rubber tip to easily select buttons on smart screens whilst protecting the screen surface. 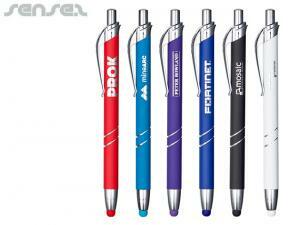 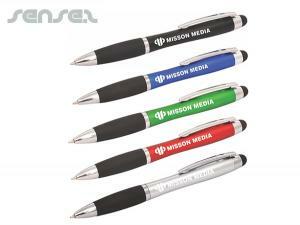 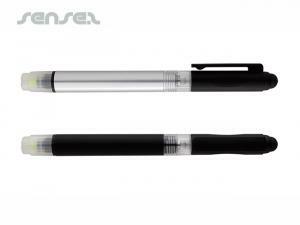 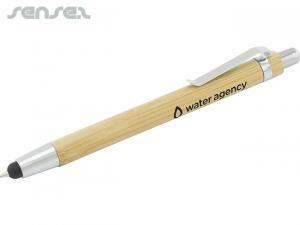 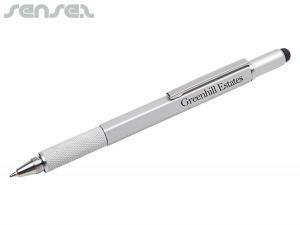 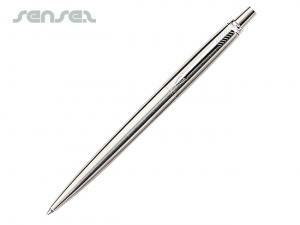 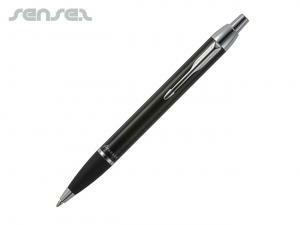 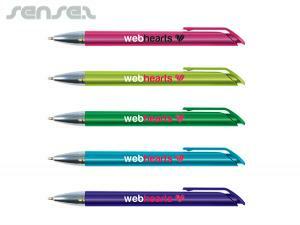 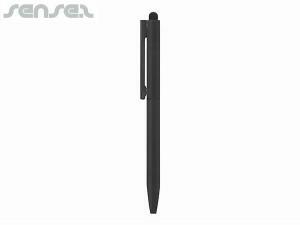 A promotional Touchscreen stylus (or stylus pen) is a logo printed small pen-shaped instrument that is used to input commands to a computer screen, mobile device or graphics tablet Ideal for couriers, during conferences, educational promotions and Telecommunication give-aways. 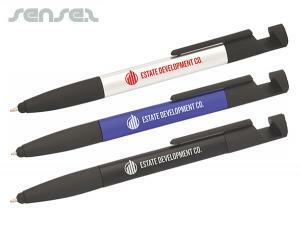 These cheap promotional giveaways are a great promo tool for any corporation. 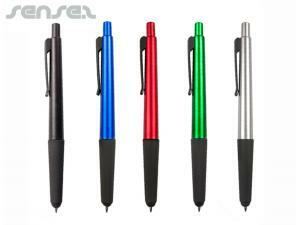 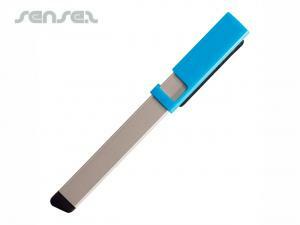 A Touchscreen stylus is a high tech gift without the high tech price-tag! 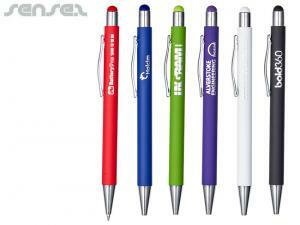 And makes a cheap techy giveaway that will be used by computer geeks, couriers, sales people and the public.